I visited HighPoint's booth at CES 2012 on Thursday, January 12th, and had the opportunity to speak to May Hwang, HighPoint Technologies Sales Manager. 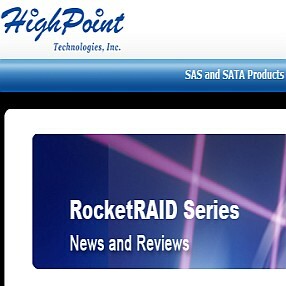 In these brief, informal interviews, you'll hear May and I discuss HighPoint's latest USB 3.0 + HDD dock combos, and SSD caching, and RocketU USB 3.0 offerings, mentioned at HighPoint here. The HighPoint RU1144A PCI-Express 2.0 x4 USB 3.0 Controller Card is described as the solution that I had recently chosen to handle USB 3.0 passthru duties for vZilla. and more descriptions and pics at homeservershow.com/ces-2012-day-1-part-1.html. What do you think of these products, and the estimated retail pricing?